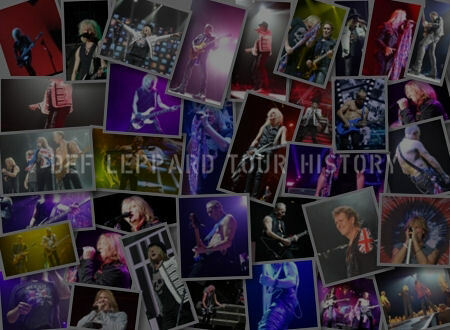 Def Leppard formed as a band exactly 41 years ago this month in Sheffield, England. Rick Savage, Pete Willis and Tony Kenning had formed a short-lived band called Atomic Mass in the summer of 1977. By the Autumn they were joined by a new singer called Joe Elliott and in November the first line-up of "Deaf Leopard" was born. 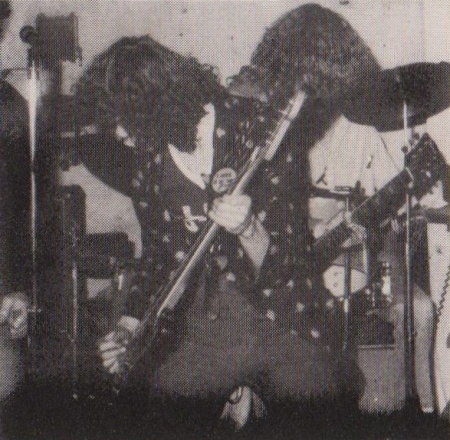 Joe had attended the only live performance by Atomic Mass at Tapton school gym in summer 1977. Their setlist included a Queen song, 'Whole Lotta Love' by Led Zeppelin and 'Boris The Spider' by the Who with Rick Savage still playing guitar at the time. By September 1977 he'd taken up playing the bass and they started looking for a new singer. The story of their formation was told in the 1987 biography book Animal Instinct. 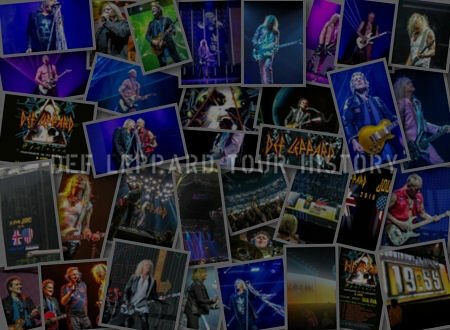 Unlike U2, who recently celebrated 40 years together, there is no specific date for Def Leppard's formation. U2 met and formed on 25th September 1976 in Dublin. Def Leppard will celebrate 40 years together in November 2017 in the same year that 'Adrenalize' turns 25 and their most successful album 'Hysteria' is 30 years old. 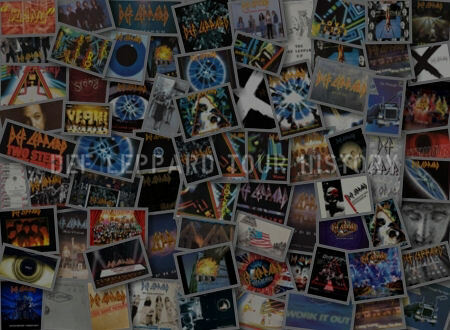 Read the story of how the band formed from the ashes of Atomic Mass as told by the band including former drummer Tony Kenning. Sav, Pete and Tony agreed to stay together after finishing school in the summer of 1977. Following a short tenure stacking cans of beans on supermarket shelves, Pete got a job with the British Oxygen Company as a junior draftsman. Sav and Tony both became trainee technicians at British Rail in the telecommunications department. But leaving school meant that they couldn't use Tapton for rehearsals. 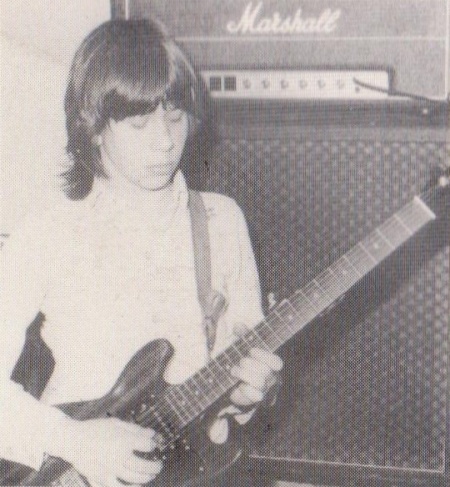 Tony was designated to hunt for for a rehearsal room where the three of them could make all the racket they wanted after hours with no complaints from parents or neighbours. "I'd spend dinnertimes and evenings walking around old factories, Tony says. "I'd plead with the landlords, asking them if they had any space they could spare. I was also asking other bands, too, if they knew of any rooms in Sheffield. I got a few names and addresses and checked them all out. Finally, I managed to get one." In September, Tony found a space in a spoon factory on Bramall Lane, a block away from the Sheffield United playing field (an irony hardly lost on Sav). The room, two and a half floors up and accessible only by a rickety outdoor stairway, was part of an old brick ironworks complex, typical of the steel and metalworks factories that rose up on the Northern English countryside during the Industrial Revolution. The place was tiny and dirty, but it was cheap. Tony got the room for about 5 pounds a week. Things were getting serious, Sav agreed to take up the bass, leaving Pete to handle all the guitar duties. The three also concurred that they needed a singer, badly. Which was perfect, because around the block from Sav's house was a would-be singer who needed a band. "I knew this guy Joe Elliott,". Pete explains. "I'd seen him one or two times at a youth club, Columbus, in an area of Sheffield called Crosspool. His friend Craig was a friend of mine. Craig must have told Joe that I had an amplifier that I was interested in selling. So Joe turned up at my parents' house one day and said 'I hear you've got an amplifier, I just bought a guitar and I was wondering of you'd be interested in selling that amplifier'." "I thought, 'This guy's got cheek. He's got to be a good front man.' You could see it in him straightaway. So I said 'Well, do you fancy having a crack at singing for my band?'" "Joe remembers it differently. He claims that he missed his evening bus home from work one night. He started walking and happened to run into Willis, whom he vaguely knew on the street. They had a "starting a band" discussion and carried on from there." In any case, the same month that Tony scored the rehearsal space, Sav, Tony and Pete "auditioned" Joe up in Joe's combination bedroom-and- record-museum. The audition consisted of asking Joe if he was willing to chip in a few pounds a week for rehearsal room rent and to hire a decent PA system. No problem, said Joe, whose income as a storekeeper for Osborn-Mushet Tools in Sheffield barely kept him in records and drink. He was in. (As for the PA, Joe was better than his word. He would later take out a bank loan in his own name for three hundred pounds to buy a PA, at twenty-five percent interest.). "His father gave us a funny look when we trooped into Joe's house," Sav laughs. "Joe ushered us up to his bedroom and we talked for ages and ages, playing records. By the end of the night, it was signed, sealed and delivered. He was the new singer. We'd never even heard him sing a note. But it was his attitude and his ideas about being in a band. We thought 'God, this guy really means business'." 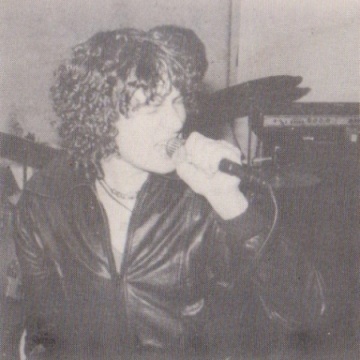 "A lot of the band's success later on was due to Joe's pushiness," Tony asserts. "He was the one with real ambition, more than anybody else. When we first met him, he'd already had a name for the band and posters made up with the band's name on them - all before he was even in a band"." "Joe had wasted no time in turning the discussion to his favourite topic, Deaf Leopard. He told the other three about his schooldays designing tickets and posters for Deaf leopard concerts and writing reviews for Leopards imaginary sell-out gigs. Then he pulled out one of his Leopard posters for their inspection. It consisted of a photocopy of an American policeman with his nightstick drawn and a shakey drawing of a leopard with an earring. 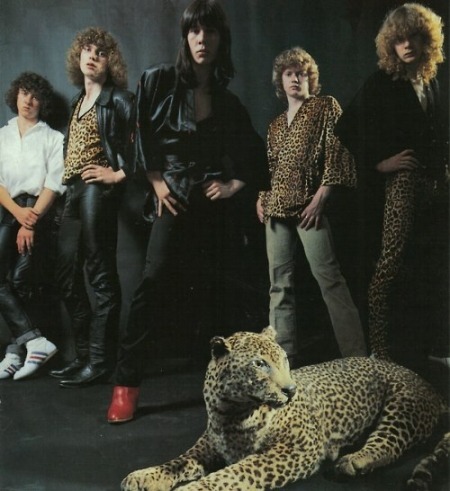 Pete Willis says the leopard "actually looked more like a moggy (house cat) than a proud leopard." "It was really tow-bob, real silly looking," Sav agrees. "But he had the posters, he had the idea and he had the name. After a while, it started to sound pretty good to me. And Pete and Tony didn't seem to mind." After a few weeks, there was some grumbling about the spelling of Deaf Leopard. It was the high season for punk-rock in England and bands like the Flying Lizards and the Boomtown Rats (featuring future Live Aid impresario Bob Geldof) were all the rage. Deaf Leopard was keen to get out and play, but not to a pack of pasty-faced, spiky-topped chainsaw-carrying troublemakers. Joe says it was Tony Kenning's idea to change the spelling of the name. Tony can't remember. Everybody insists that the resemblance of the new spelling - Def Leppard - to Led Zeppelin was strictly unintentional. Whatever, it sounded good, looked good and eventually even Pete Willis, who thought the whole idea was "daft," came to like it. Formal rehearsals did not commence immediately. It took several weeks to make the spoon factory inhabitable. The band decorated the room with Peter Gabriel and Ian Hunter-Mick Ronson posters (an Elliott touch) and used empty wooden boxes and battered old sofas for sitting on. They tacked moulded old carpets on the wooden floor so the guitars, drums and amps would not get scratched up. Andy Smith, who by virtue of his keen interest in music and his friendship with Joe became a roadie and van driver for Leppard, says his strongest memory of Bramall Lane is the smell of sour milk. There was an old sink in the room, but it was so crusted with rust that no one dared to drink the water. Instead, an electric kettle was brought in for making tea and coffee. Someone usually brought a pint of milk for the tea and coffee and, invariably, it would never get used up. The milk would be left in its container behind an amp or a chair where it was forgotten - until it went sour. Band meetings were held in the Sheldon Hotel pub on Denby Street, two blocks from the rehearsal room. The place catered mostly to steel workers and Sheffield United fans who argued about the day's football action on their way home. On many evenings, Def Leppard commanded a table and over pints of ale, worked out song lists, discussed gig possibilities and talked about future plans, like someday selling out Sheffield City Hall. That day was still far off. At Joe Elliott's first official rehearsal with Def Leppard in late November of '77, he sang an infamous, out-of-key version of Led Zeppelin's Stairway To Heaven on a microphone borrowed from former Atomic Mass singer Paul Holland. Joe had to sing the song an octave lower because he couldn't reach Robert plant's high notes on the record. The band also had a crack at David Bowie's Suffragette City and Jailbreak and Emerald by Thin Lizzy. Despite that rather unpromising start, Def Leppard plunged headfirst into original songwriting. Joe, as the singer, agreed to write his own lyrics. He was only too happy to get a chance to emulate his hero Ian Hunter. What he came back with was pretty dreadful. "He came to me one day and said he'd written lyrics," says Sav. "They were very everyday sort of lyrics, just what Ian Hunter might have written when he was Joe's age. 'I remember travelling on the bus to Rotherham...' That sort of thing. They were alright, but not the sort of thing we wanted. I asked him if he could make them a bit more abstract and a bit more special. He said 'Like what?' I gave him a few examples, like Led Zeppelin. Joe came back the next day with all these new lyrics." The song was called Misty Dreamer. The rest of Leppard were extremely impressed. Sav suggested an idea for a quiet bridge in the song and by the time they were finished with it, they had .their own seven minute Stairway To Heaven. By the time Leppard recorded its debut album. 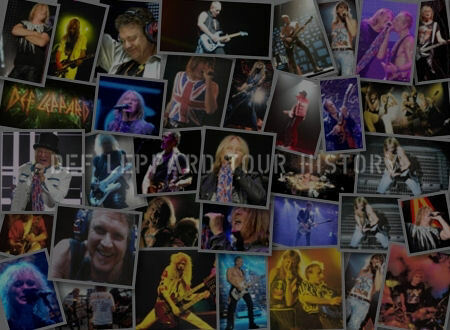 most of the song had been scrapped and Sav's quiet part turned into the basis for Sorrow Is A Woman but Misty Dreamer, for all its rickety naivety, was Def Leppard's first complete original song. They rehearsed the number ten times a night, along with Jailbreak and Suffragette City. By the time Christmas '77 rolled around, the four-piece Leppard felt confident enough to play for their friends. They invited a handful of pals down to Bramall Lane for a holiday party and performance. The Leppards put coloured paper over the lights in the room and rounded up dome flashy stage wear. "We played five songs with about six people sitting around us," chortles Joe as he describes Def Leppard's first "live" show. "We even got an encore. ".